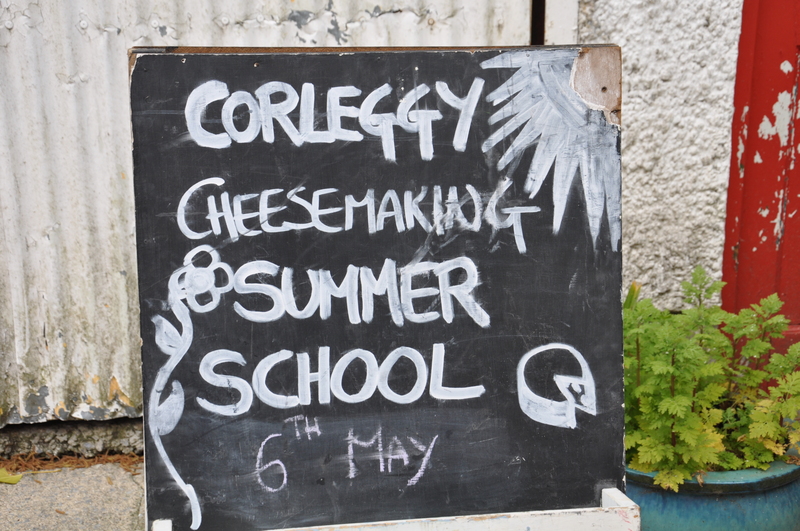 A Cheese making day at Corleggy coincided with my recent visit to Ireland. Having tried making soft cheese before (ricotta and fromage blanc), was keen to learn the process of maturing hard cheese using raw milk. Guided by a professional with a passion for cheese making was a chance not to be missed, allowing me a little insight into the art of cheese making. An enjoyable experience and a great way to spend a day outdoors. The class was run by Silke Croppe an Artisan Cheese Maker recognized throughout Ireland for her handmade goats, cows and sheep’s cheese using raw milk. Silke is originally from Germany but moved to Ireland many years ago to live in Corleggy, Belturbet Co. Cavan where her passion for cheese making began. 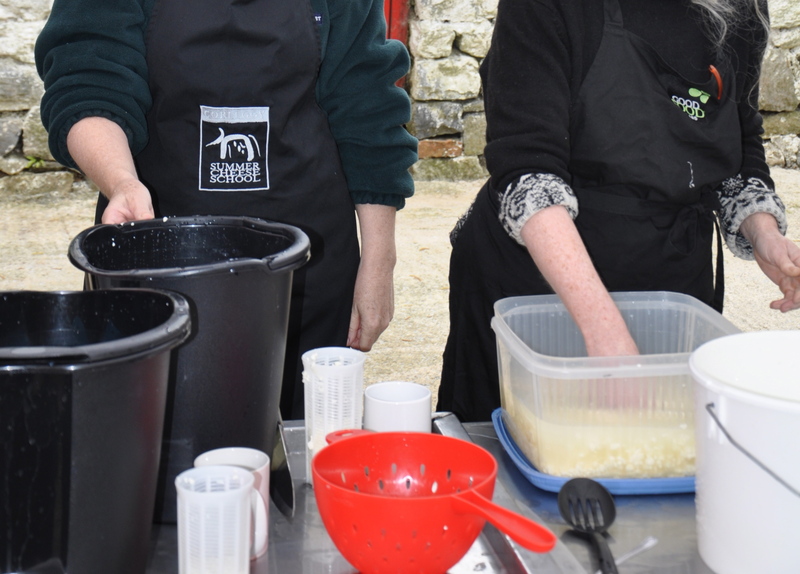 The cheese making class was held outdoors on her charming farmhouse cottage nestled in the Belturbet countryside. The weather was on our side and luckily, no rain fell from the Irish skies… but it was cold! 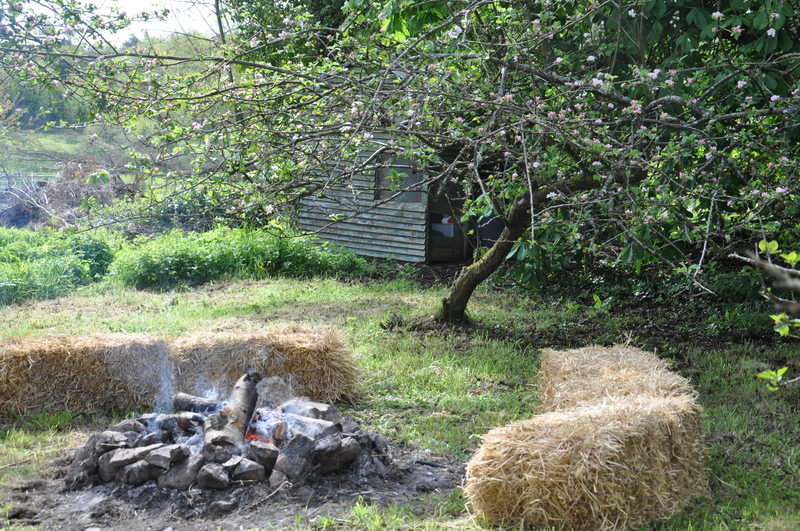 Silke and her team had a lovely log fire burning, keeping us warm throughout the day. Breakfast was served before commencing the cheese making class and it gave us all time to introduce ourselves and have a chat. 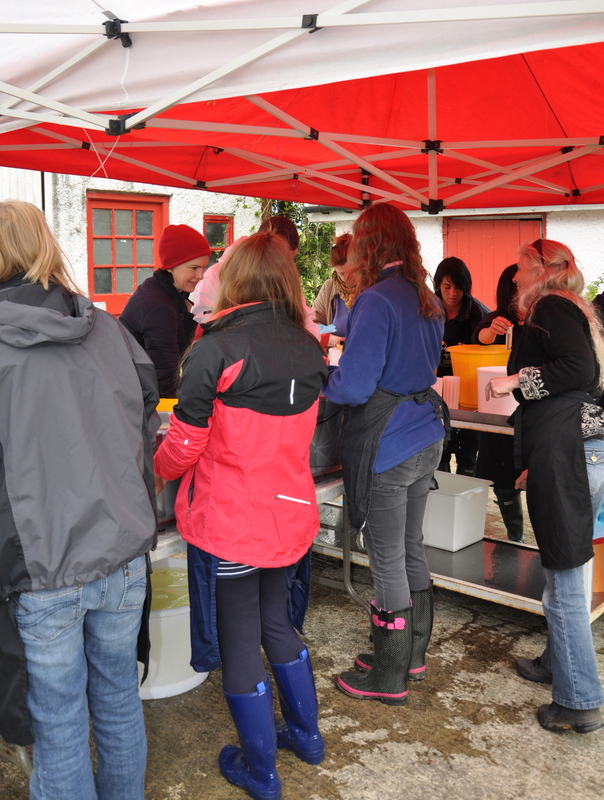 A brief summary of the cheese making (in a bucket) process that Silke guided us through. Fresh raw cow’s milk had already been collected early that morning from a nearby registered dairy into a large vat and mixed with a live culture (starter) to ripen the milk. 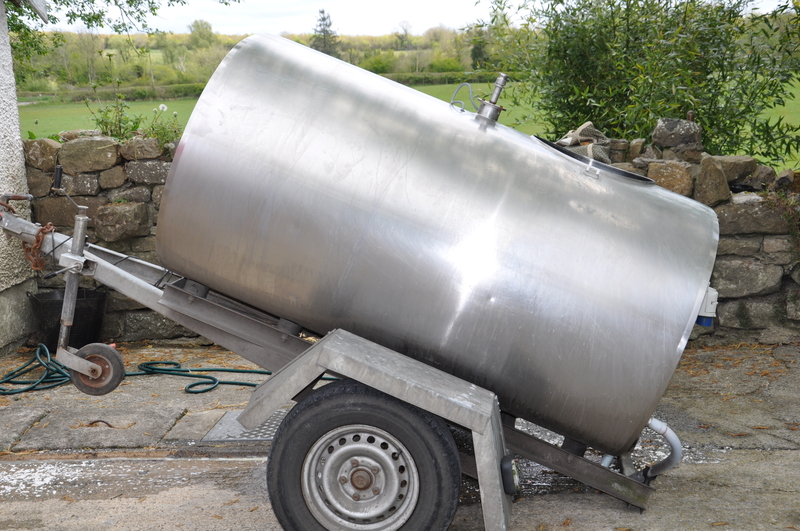 Everyone collected 10 liters of the raw cows milk into a sterilized container or bucket. Liquid rennet was stirred into the bucket of milk which was then left undisturbed for about 20 minutes until the milk set forming a large curd. Using a long knife the curd was carefully cut into smaller curds, this helped separate the watery whey from the curds. 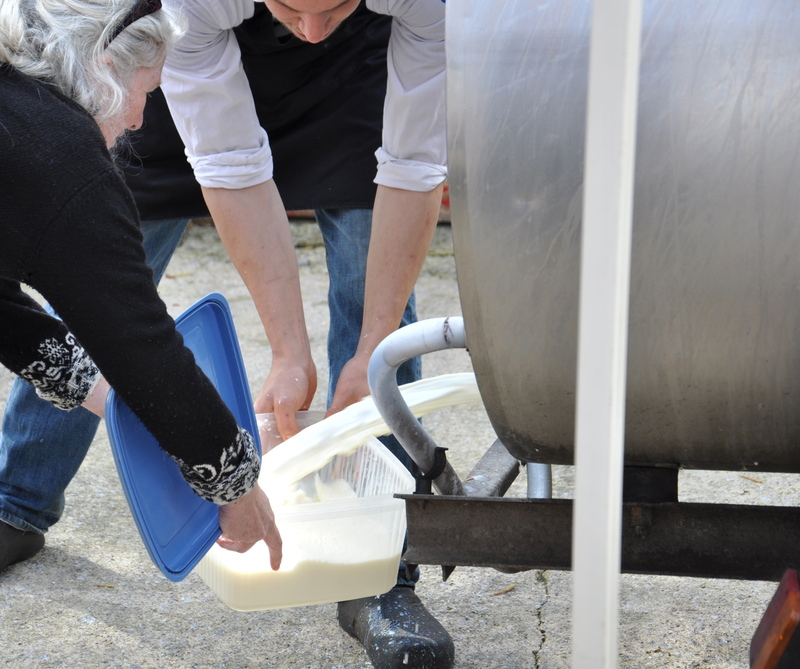 The curds were then gently stirred in the whey with clean hands while slowly adding some hot water until the curds reached a temperature of 39°C. During this process the curds became smaller and firmer. 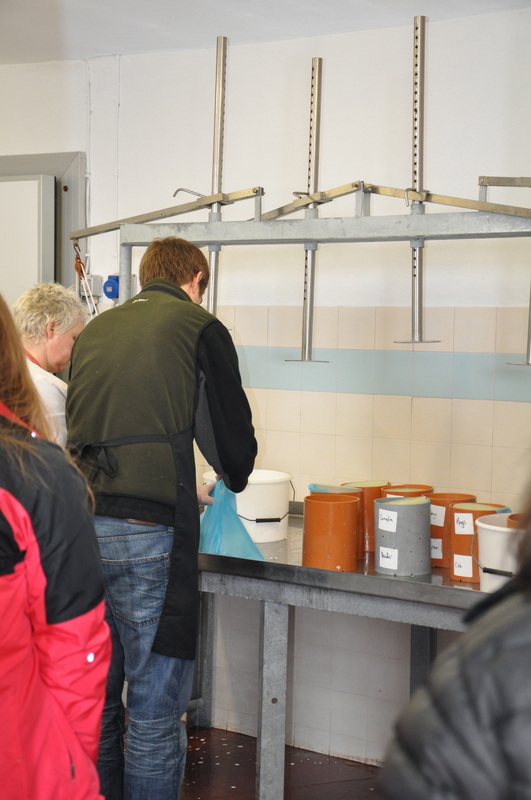 Everyone busy stirring, adding hot water and emptying the excess whey until the curds reach the correct temperature. 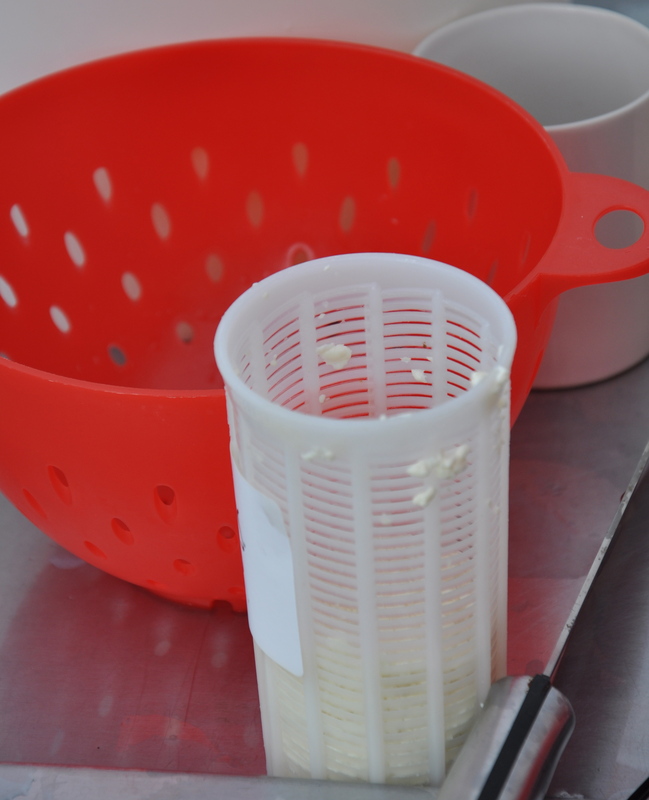 Some of the curds were placed into a small cheese mould, this was left to drain for a couple of hours forming a soft cheese. 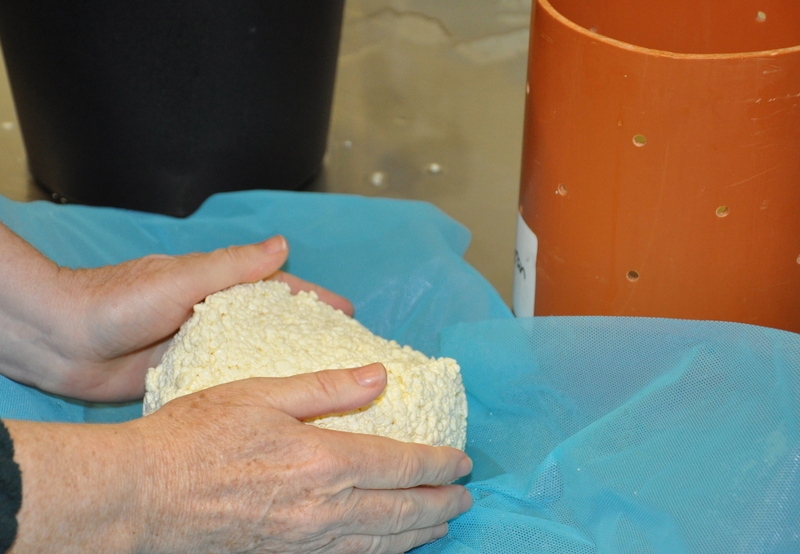 The rest of the drained curds and the cheesecloth were placed inside a larger cheese mould with holes at the sides which allowed further draining of the whey. 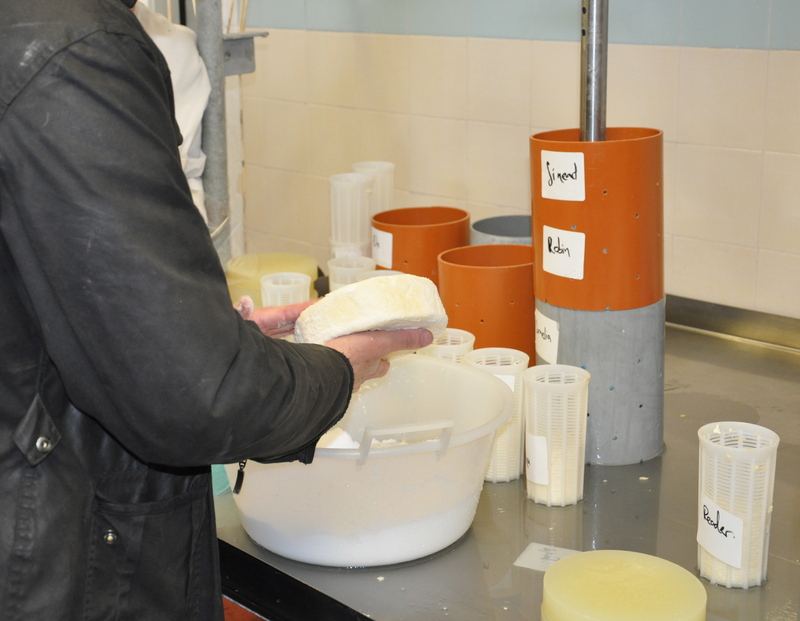 Each cheese mould was covered with a follower and pressure applied to the curds for a few hours, extracting more whey and shaping the cheese. 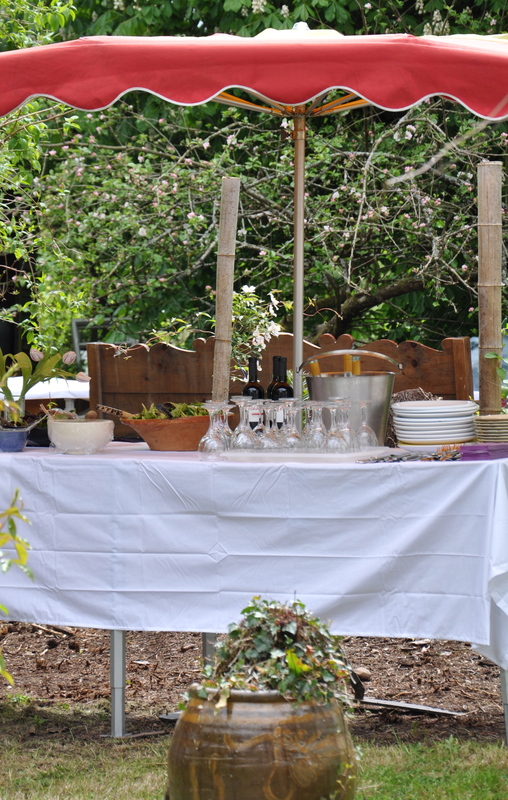 Time for a break… a delicious lunch was served, roast pork, some salads, cheese and wine were on offer. 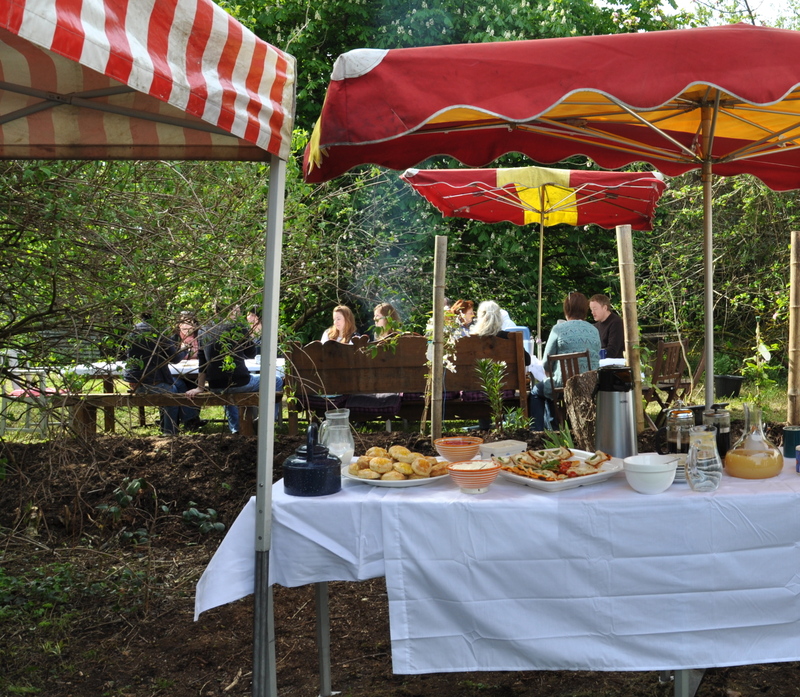 Coffee and some sweet treats were also provided! After a few hours the cheese was removed from the press and the exterior of the cheese rubbed liberally with salt, this will help form a rind on the cheese. The soft cheese (which is still in the white mould) only needed removing from the mould, ready to eat (or stored for about a week) and no further maturing was needed. Our 1kilo of cheese is wrapped in cheesecloth to take home, ready for maturing into a hard cheese… over a three-month period! Maturing cheese can be a timely process and in the early stages the cheese will need to be turned daily for a couple of weeks and then every now and then until the cheese is mature. Ideal temperatures for maturing cheese are 10°C to 14°C and consistency is important… a wine cooler at home can come in handy! Our day ended with a selection of Silkes wonderful handmade raw milk cheeses to sample before heading home. As I was travelling back to Bahrain the following day I decided to leave my cheese with my brother, maturing alongside his cheese in his wine cooler. 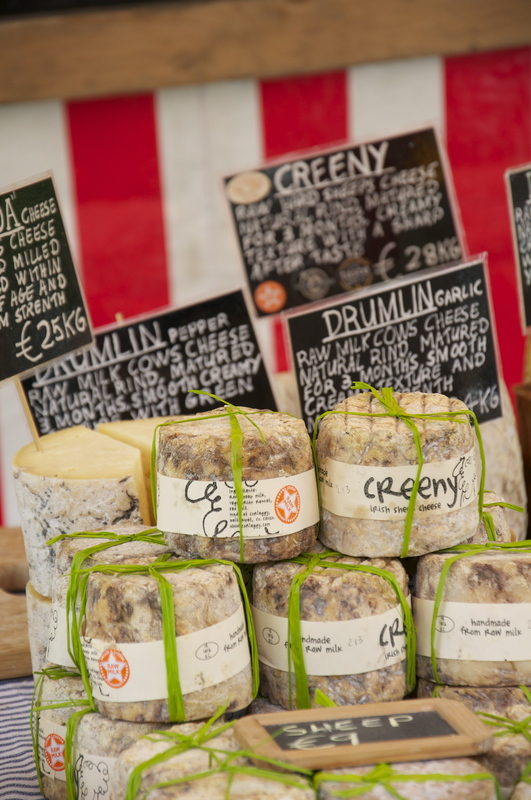 Up-dates have been promised (with a photo) and maybe I might just be back in Ireland to taste the cheese when it is fully matured… in three months time.